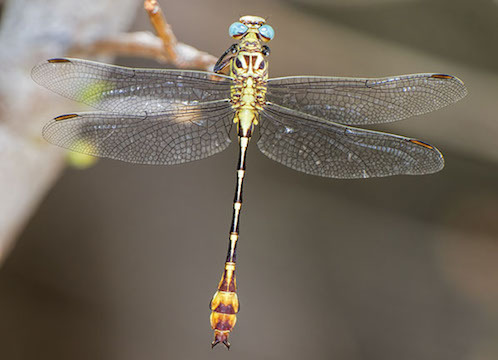 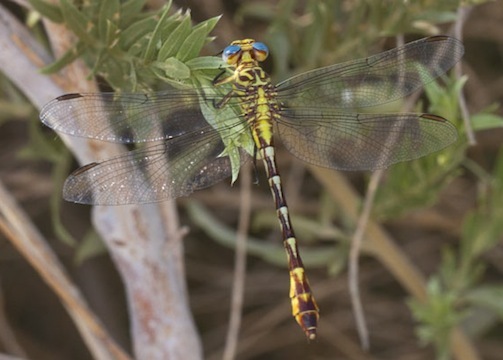 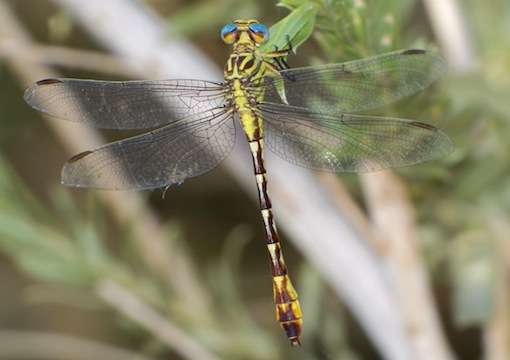 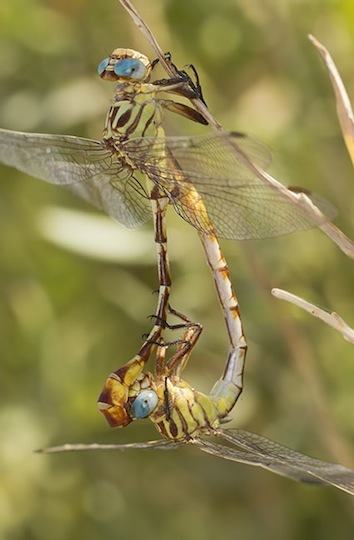 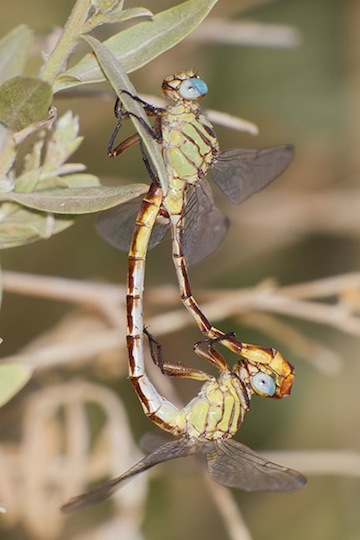 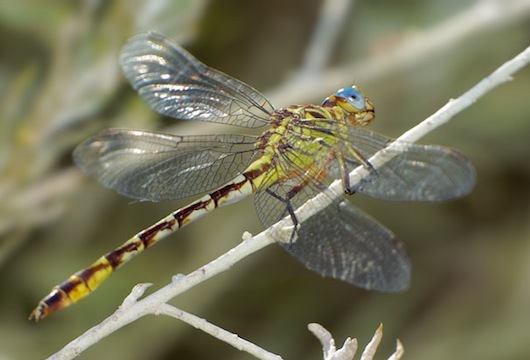 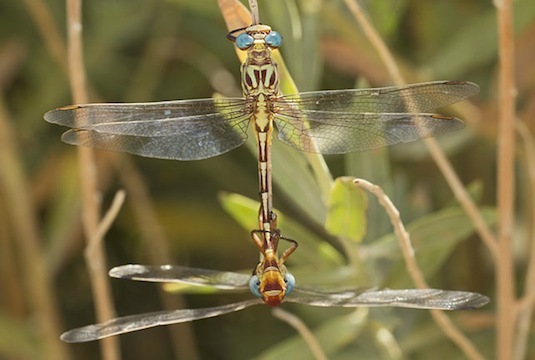 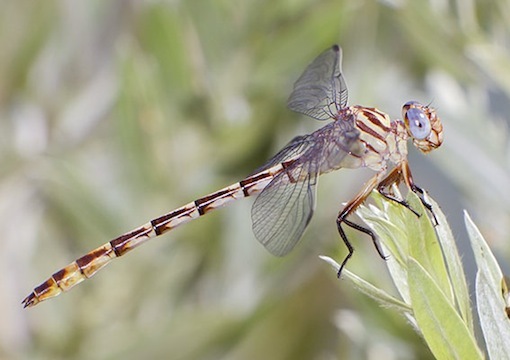 This colorful and widely distributed dragonfly likes running water, and these were perched by the Colorado River near Blythe, or by an irrigation canal in California's Imperial Valley on HOT summer days (nearby we found two similar species, the white-belted ringtail) and the brimstone clubtail. 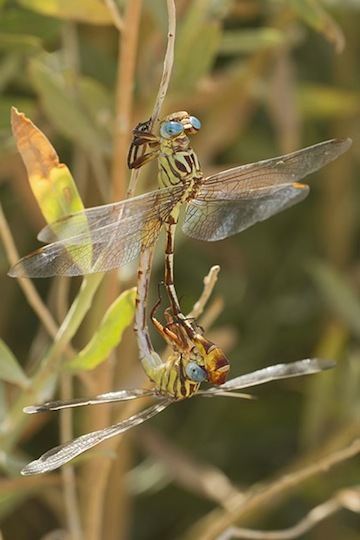 Males have an expanded abdomen tip, or 'club' that is reduced or absent in females -- easily seen in the mating pair in 'wheel' formation. 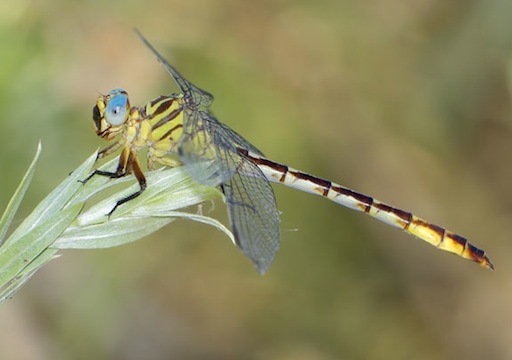 I particularly like this species' blue eyes.